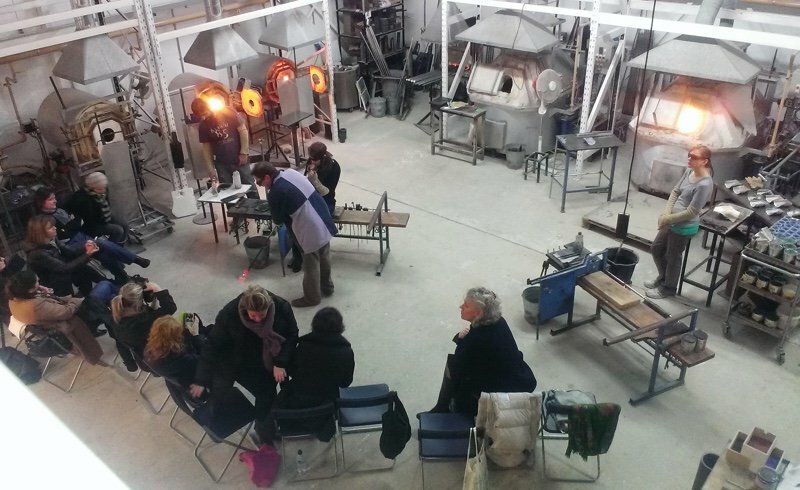 Glassblowing Courses for Groups: Adam is happy to arrange private glassblowing courses for groups. These can be for corporate team-building events, or for groups of family members or friends, including children from age 11. We can accommodate private groups for various events, including birthday parties, hen parties and special family anniversaries. These are ideal events to run for your company Christmas party. Tea and coffee is provided, but we can also arrange light refreshments or lunch, working with local caterers Hilly’s. 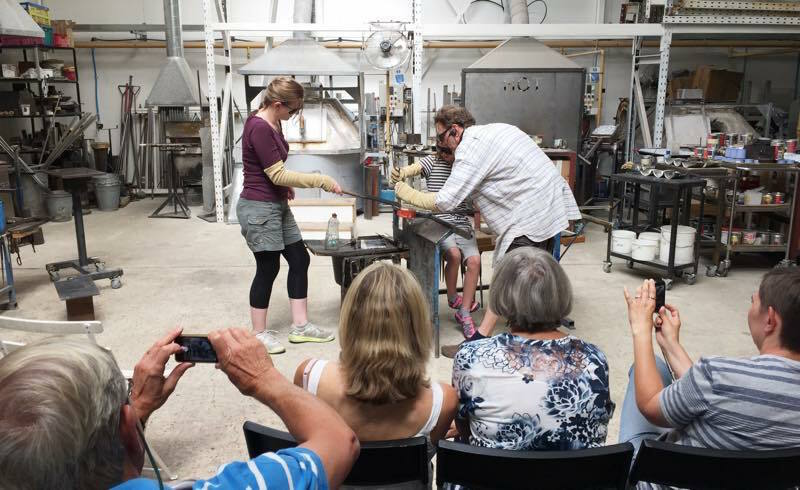 We can tailor these bespoke workshops to suit your individual requirements, so that you can get the best out of your glassblowing experience. We can accommodate up to 30 people for a workshop where each person makes one piece, for example, a paperweight, heart, tumbler, vase or bowl. The duration of our workshops is generally from one and a half to four hours depending on how many people there are in your group and the items being made. Alternatively, members of a group could choose to make more than one piece each. The duration of these sessions would depend on the number of participants and the number and type of pieces per person. We usually run group workshops on Thursday afternoons, or Friday mornings or afternoons, but they can also be arranged for other days. Late afternoon/early evening workshops can also be arranged, and weekends from time to time. Send us a message, call 0148 337 5035 or email for pricing and other details. The booking is confirmed on receipt of payment.